There is something quite special about where your newborn baby will spend their first days, weeks and months (hopefully) sleeping. Whether this is a Moses basket, a bedside nest or a traditional crib. We have chosen to have a traditional crib for Piglet, namely the Silver Cross Nostalgia Crib in elegant white. 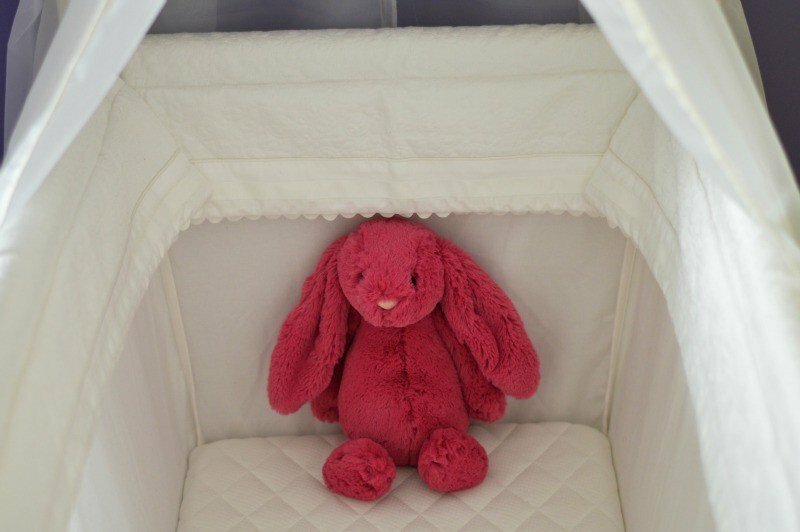 Having previously used wicker Moses baskets with Roo and Tigger we wanted something that would last Piglet longer and the Nostalgia Crib offers a larger sleeping area for her without being too large not to fit into our bedroom. The beautiful antique white wooden frame is easy to assemble with clean, straight forward instructions included. With everything you need to assemble included including screws and Allen key it makes assembly the Nostalgia Crib an enjoyable task rather than getting half way through and finding that you then need to ransack the house trying to find a certain type of screwdriver etc. 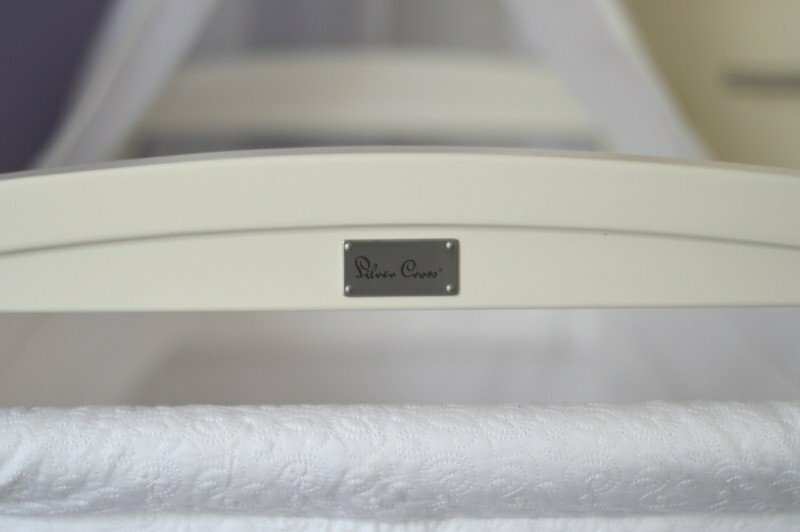 Once the wooden frame is assembled it is time to add the beautiful quilted coverlet, mattress and sheer drape which transform a wooden frame into a luxurious place for your newborn to sleep. The coverlet is easily added to the frame with a zip fastening on each side which is hidden by the quilted fabric so not to distract you from the beautiful finish once it is in place. The sheer drape is the most difficult place to add to the Nostalgia Crib which isn’t actually that difficult to do in reality. You need to make sure that you have looped the drape under frame once you have threaded it onto the top pole before you secure the pole into place at the top of the frame. The Nostalgia Crib is a stunningly classic piece of nursery furniture and just looking at it I can’t help and swoon over it. Measuring larger and deeper than the average Moses basket I can see this lasting Piglet much longer than the alternatives we used with Roo and Tigger which I really like as I didn’t like the idea of them being in their own room too soon. 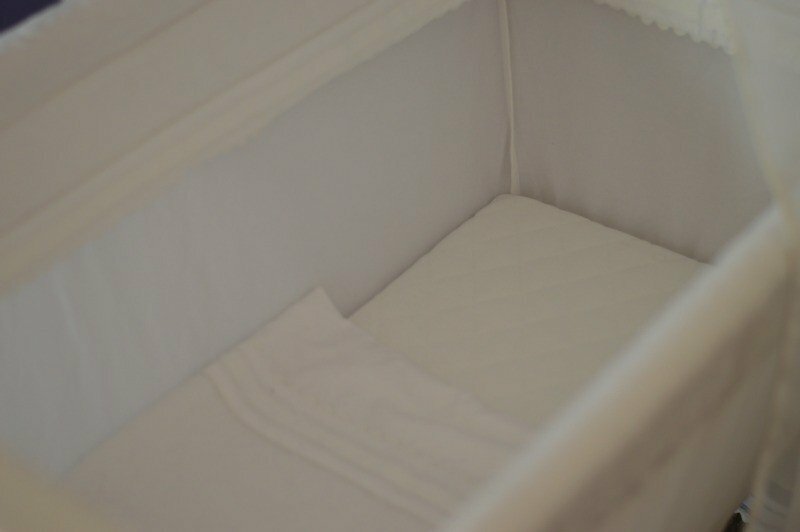 Having opted for the elegant white quilt coverlet I wondered whether the Nostalgia Crib would look plain however having seen it assembled I am really quite pleased that I stayed traditional with the white as it really makes the crib look classical and something that could have been passed down the generations. 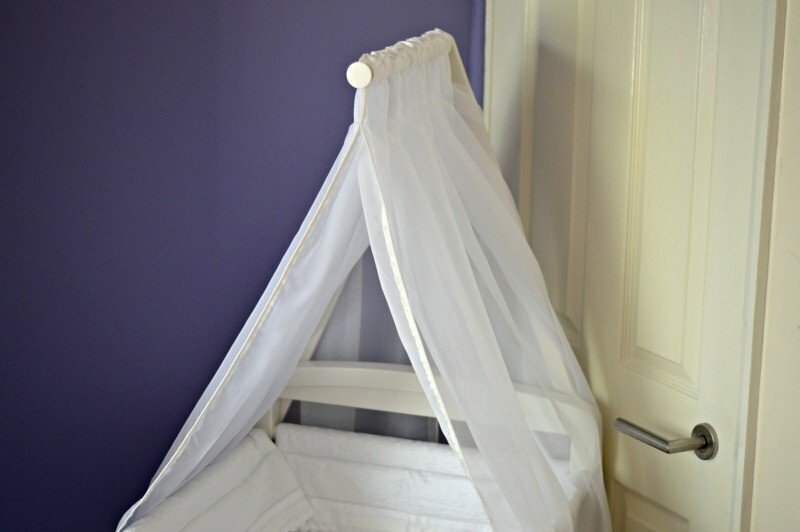 The sheer drape adds that whimsical feel to the Nostalgia Crib, really making it feel like a special place to have your precious little bundle sleep. The Silver Cross Nostalgia Crib is priced at £249.00 and is available direct from Silver Cross, John Lewis and all other good baby retailers. Disclosure: We have received a Silver Cross Nostalgia Crib FOC for the purpose of review. What a beautiful crib! Looks solid enough to pass down to siblings. I hope piglet is enjoying it now.